I get it. You’re over 2016. It’s so last week. And, you know what that means! It’s time to make your digital marketing resolutions for 2017. Not sure where to begin? We’ll get you started with some suggestions to amp up your business’s digital marketing strategy this year. Is your online information all over the place? If so, it’s time to clean up and organize so you can build brand consistency and boost your local search ranking. Don’t get stuck in a marketing rut. This year, try something new, like video. According to this video marketing infographic, 1/3 of all online activity dedicated to viewing video, but Facebook and Instagram give preference to video and live video. Friends and followers receive a notification when you go live, and Facebook has an entire tab for video, with precedence for popular videos. In case you missed it, this year Mark Zuckerberg’s daughter, Max, took her first steps. Zuckerberg captured the event on 360 video, stating “When I was a baby and took my first steps, my mom wrote the date in a baby book. When my sister’s children took their first steps, she recorded it with photos and videos. Facebook Live, Instagram Live and Snapchat are great ways to get started with informal live videos you can create on your own. Use them to promote specials or show customers how to use your products or services. Give tutorials on small things your customers can do to maintain products, homes, automobiles, etc in between maintenance services or for specific times of year. 3. Refresh your social media marketing strategy. Surprise, another year has passed, and social media isn’t dead. Time to dust off that Facebook page. Start posting more regularly on the top social platforms (depending on your business and industry, this could be any of Facebook, Instagram, Google+, LinkedIn, Snapchat or Pinterest). Reply to comments and messages promptly. Share posts just for fun, but also share relevant, industry or location specific posts. If you have to focus on only three social platforms this year, our social media experts suggest that you try Facebook, Instagram, and Google+. Our social media coordinator, Emily Anthony, says to be transparent and tell your story. “Tell your story. Instead of focusing on selling, really commit to telling the story of who you are and why you do what you do. And don’t forget to create a cohesive brand image on social media so that your brand is memorable,” Anthony said. 4. Start asking for reviews. Have I mentioned that online reviews are extremely important? I know I sound like a broken record, but reviews are the new word of mouth. Ninety-one percent of consumers read reviews before making a purchase, and in order for reviews to seem relevant, they shouldn't be more than a few months old. If you’re having trouble getting a steady stream of new reviews, all you have to do is start asking. 5. Optimize for voice search. You know the importance of mobile optimization, so I won’t bore you by nagging you to do it. Instead, take a look at optimizing for voice search. With the prevalence of products such as Amazon Alexa and Google Home (not to mention on all our smartphones) voice search is more important than ever. As you'll see in the video below, Google Home is a smart assistant you wake by saying "Okay Google." Google Home, like Amazon's Echo, will not only perform a voice search but also can perform science fiction style feats such as turning on the house lights via voice command. Once you’ve got the basics of local marketing down, it’s time to optimize and improve your strategy. 2017 is the year to start tracking what’s actually working. If you want to be successful in digital marketing (and who doesn’t?) you need to know where your money is wasted and where it’s well spent. How do you do that? Follow the data. Keep track of your analytics, and make marketing decisions based on that data rather than how you’re feeling. Track calls in paid ads. Dive into the analytics on your website. Check out those Facebook insights you’ve been neglecting all year. And don’t forget to ask customers how they found you. Track sales that happen in the physical world to see how your customers are finding you, so you can weed out what isn’t working, optimize your best marketing channels to drive even more sales and use paid ads to be found where you see opportunities. 6. Keep an eye out for trends and updates you can take advantage of this year. Last year, we experienced plenty of digital changes (such as Google's "Possum" algorithm update) and fun trends to take advantage of. Pokemon Go took the world by storm, and many local businesses capitalized on the Pokemon Go trend. Instagram and Facebook introduced live video to compete with Snapchat, and Google added tons of new features, including plenty of useful AdWords updates. One of our strategists, Ben Hogenkamp says to keep an eye out for new features and to make sure that your marketing aligns closely with your 2017 business goals. “Take into account all the changes Google made with the AdWords platform in 2016. For example, expanded ad text in search ads and the addition of local search ads in the maps section. Make sure your business goals align with your marketing efforts in 2017, make sure any promotions you are doing in 2017 are represented in your online marketing efforts,” Hogenkamp said. Keep an eye out for those trends in order to constantly improve your marketing and advertising strategies. Subscribe to our blog for the latest updates in digital marketing this year! 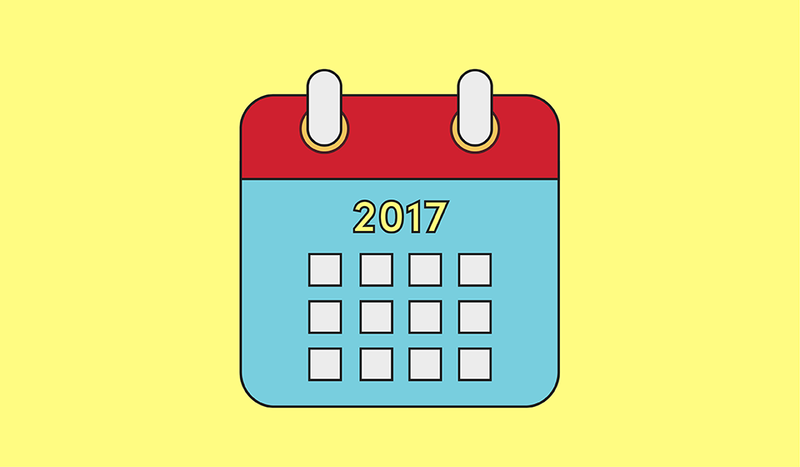 And comment below to tell us: What are your 2017 local search marketing goals, and how do you plan to accomplish them?